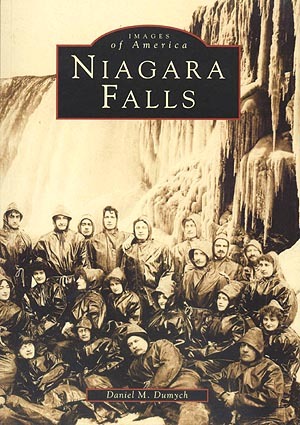 More than 200 vintage images and an information-packed text trace the history of Niagara Falls from the 1860s through the mid 1960s. Author Daniel M. Dumych introduces readers to the Niagara Falls Power Company, an enterprise that began producing power in 1895 in the world's first alternating current central power station. In an attractive 128-page book that takes on the feel of a meticulously researched scrapbook, Dumych looks at how industry, tourism and noted people shaped Niagara Falls' vibrant past. Arcadia Publishing presents this pictorial history which includes never-before-published images of streets, homes and even daredevils who challenged the Mighty Niagara. The book also includes the story of the Love Canal's origins in the 1890s, when planners' goal was to create an almost utopian city.